Wow.... I just found out why we are so soft. It started with a book I'm reading for my next book review... the title is The Cat Who had 60 Whiskers. 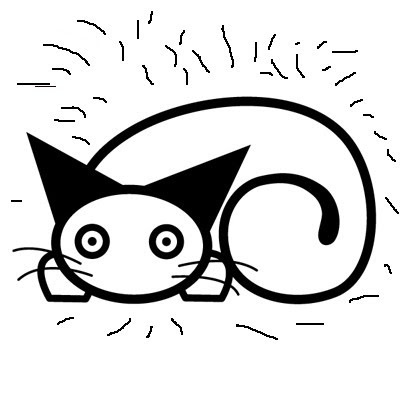 A cat having 60 whiskers started me wondering about how much fur we have. Well kitty pals, I searched the web and the answer is that we have 60,000 hairs per square inch on our backs and double that on our fronts. My guess is that we have fewer hairs on our backs because people pet our backs most and we shed. So there, now you have some great information to pass on during the next paw pawty. WOW, you need to have The Great Whisker Count event! MEOWZA!!!!!!!!!!! That's a lotta hairs!!!!!!!! Maybe I can give my Pop some of my hair?? Most of my fur seems to collect on Ma's pillow. She has to use an pet hair eraser every morning.